I’ve been a bad girl. Well, not really- I mean it’s been a celebratory weekend. Doesn’t that mean I deserve a few treats? Ok, maybe I got a few too many treats. But in my defense, I legitimately “needed” several of my purchases. And the others…well, whatever. Plus, I’m too much of a gluttonous American to conceal my purchases from you guys. The Borders Bookstore in Greensboro is closing its doors- sad story. On the bright side, the entire store is 60—80% off. So really, I can only express so much sadness. 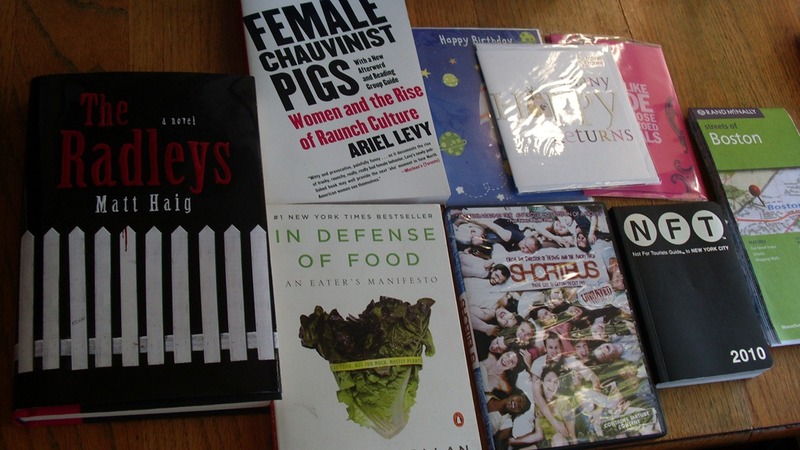 Female Chauvinist Pigs: Women and the Rise of Raunch Culture by Ariel Levy: yet another book that’s been hanging out in my amazon shopping cart. 70% off? Yes, please. A mess of greeting cards, which (at 80%off) cost less than $2.00 total. Shortbus: this movie kind of changed my life. I’ve been in love with it for years, but it’s very difficult to find. Even if you can find it, it’s usually kind of expensive. I CAN’T BELIEVE it was there- I snapped it up, even though it cost more than I wanted to spend. Not For Tourists- NYC 2010 and a Boston street map: Self-explanatory. 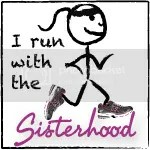 I’m an obsessive geek, what can I say. In Defense of Food by Michael Pollan: Michael Pollan also wrote The Omnivore’s Dilemma, the book that’s been taking up all of my free time. I was really excited to snag this book, but I didn’t actually get it at Borders. I bought it during an unplanned record buying frenzy at one of my favorite used bookstores, Edward McKays. 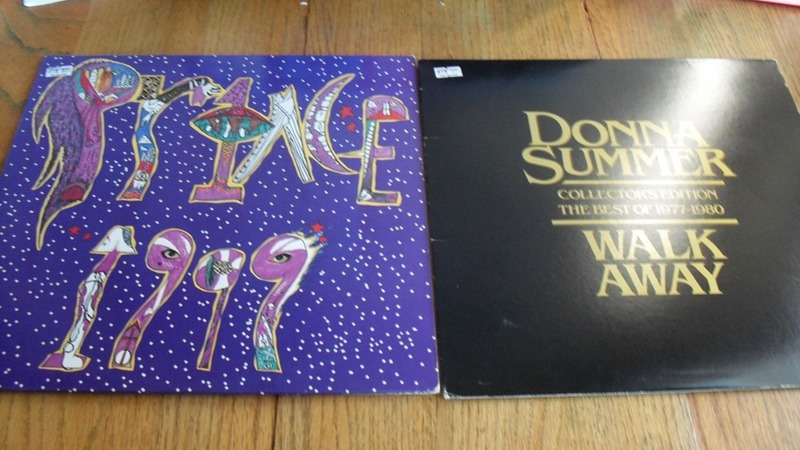 Anyone who knows me is well aware of the fact that owning Prince’s 1999 was an absolute necessity. Also, I had to get this Donna Summer record. Really. Stop rolling your eyes. It includes “Mac Arthur Park”. 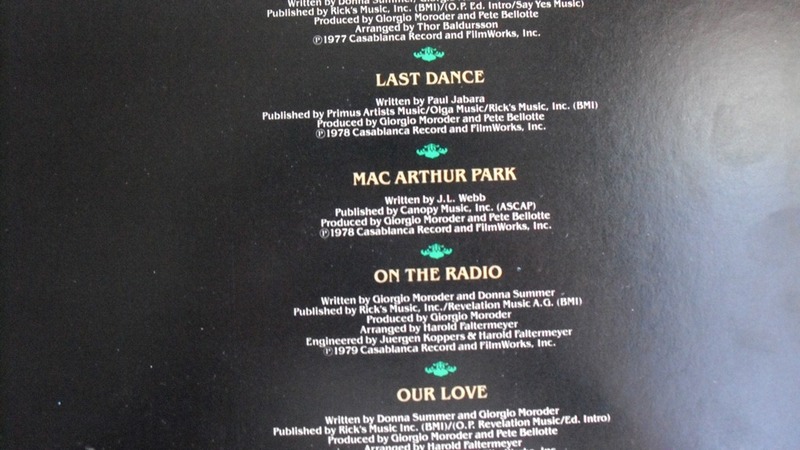 Have you heard Donna Summer’s version of “Mac Arthur Park”? It’s disco magic that WILL BLOW YOUR MIND. Yeah, I’m listening to this right now. Speaking of books, have y’all heard about The Bookup? Simple concept- show up, bring books, read books. No talking. Lots of eating. And I promise this isn’t a dream. It’s real life! 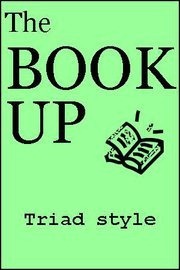 The first Triad Bookup will be April 13th, 6pm-8pm, at Bin 33, a new-ish Greensboro restaurant with seriously delicious eats- they are also renowned for having one of the triad’s best wine selections, and a Bottomless Champagne Sunday Brunch. But for real, the food is DE-lish. I can’t tell you how excited I am about this event. I love to read while I’m eating, and this is the absolute best of both worlds. It’s a free event (pay for your food, obvi), and you can donate books to the library. If you’re in the triad area, definitely consider coming to this event- and if you can’t make it to April 13th event, look out for future Bookups.